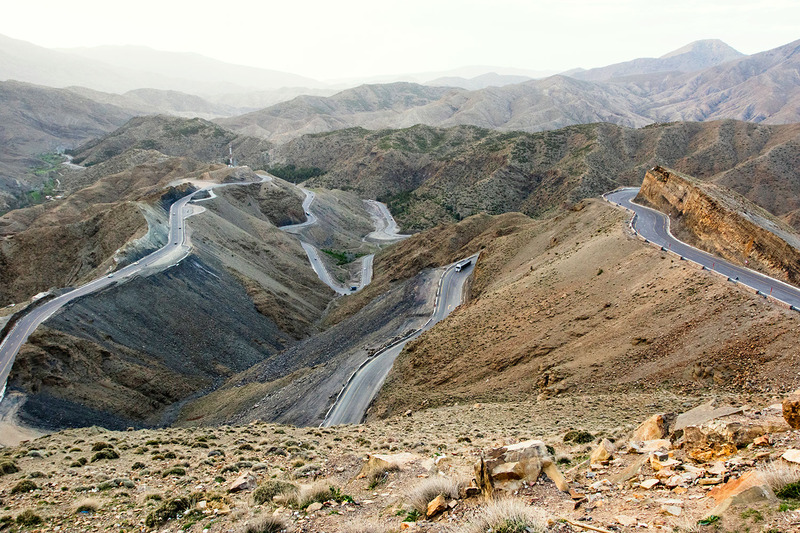 It was my third visit to Morocco, but I’ve never appreciated its beauty, landscapes and colors like this before. 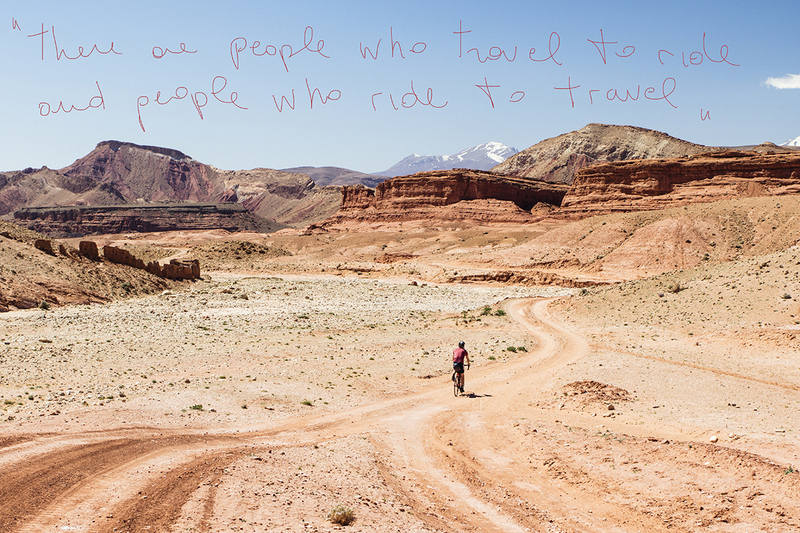 It’s true, slowing down does often help your exploration. 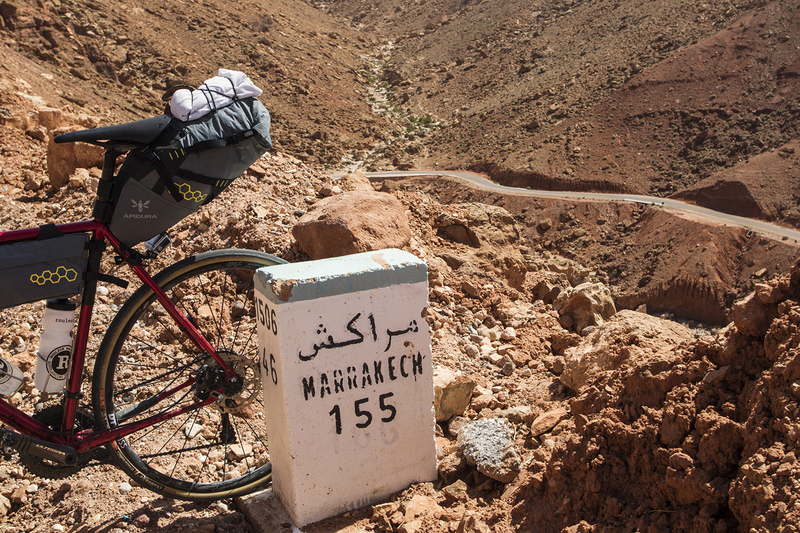 The average of 100km a day allows us time to stop in the most interesting places. 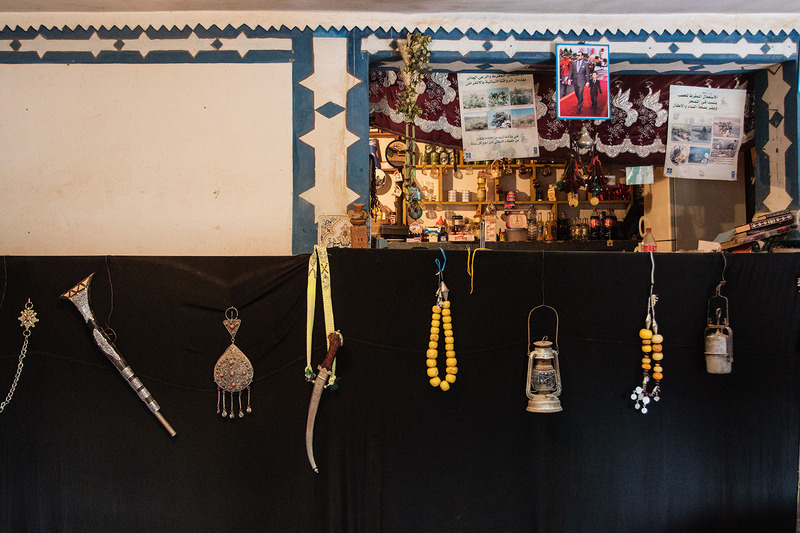 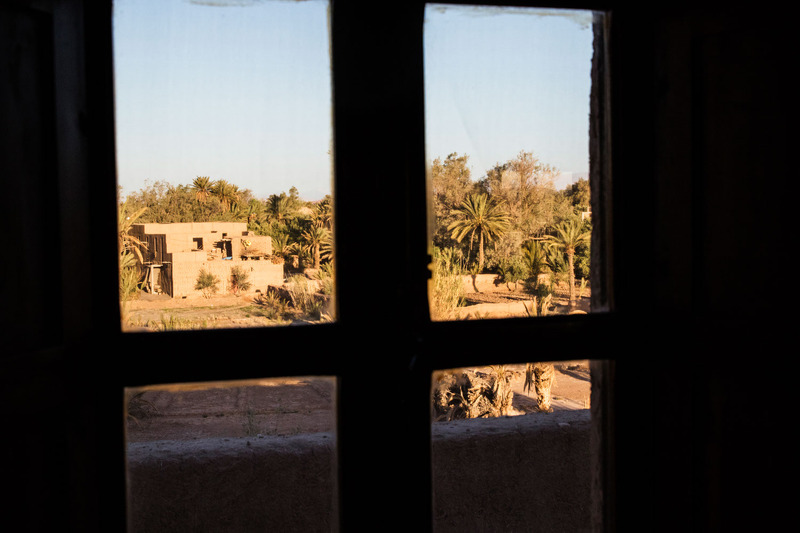 Then at night we always slept in the so-called “casbah” or found local accommodation – the differences in temperature between day and night are so extreme at this period of the year that we preferred to avoid the tents, allowing us to travel lighter. 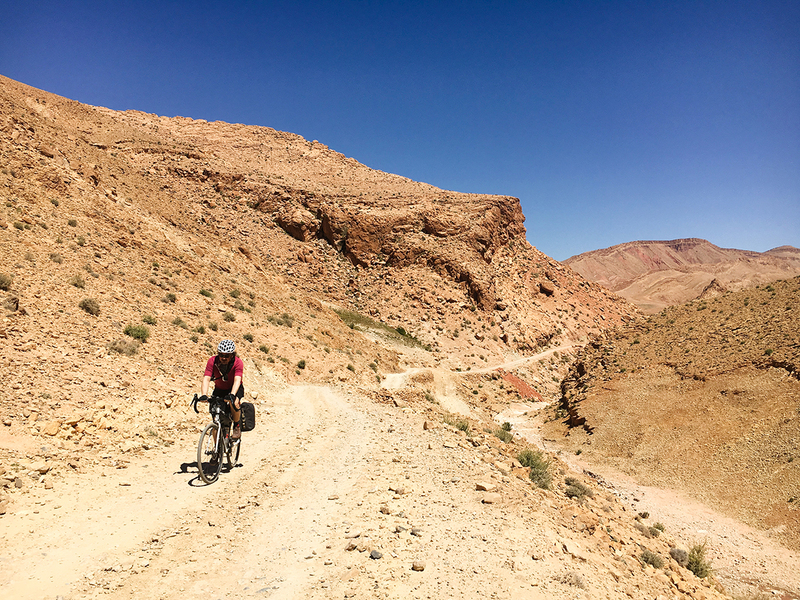 Another part that was like being in a Western was when deviating left to avoid the N10, going on along the Roses Valley – generally we studied the travel to avoid all the “N” roads, the biggest and with most traffic roads. 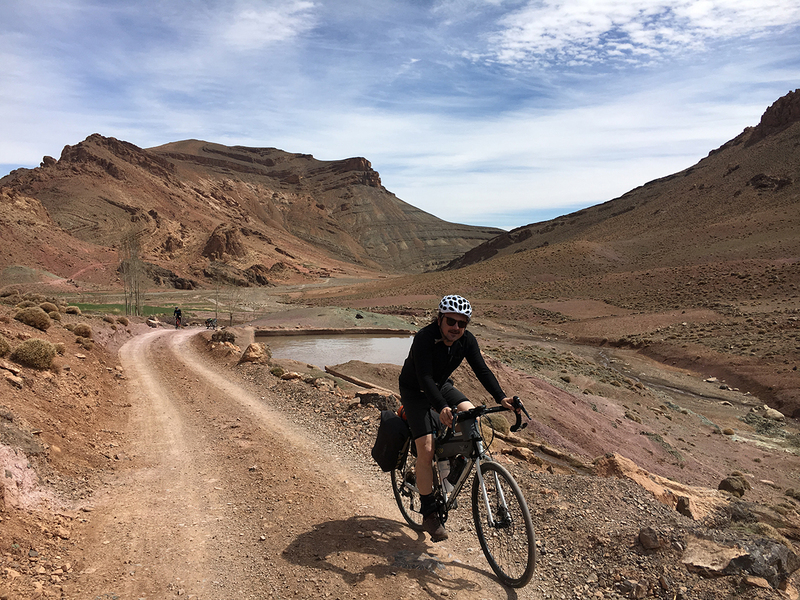 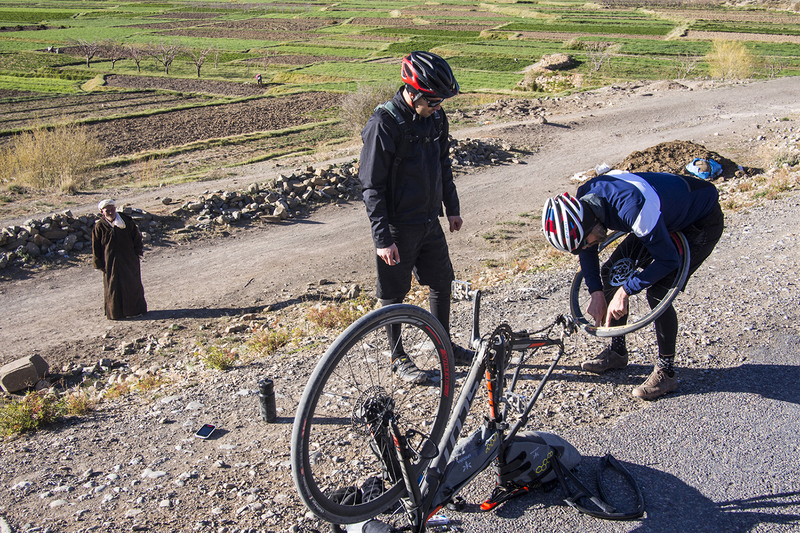 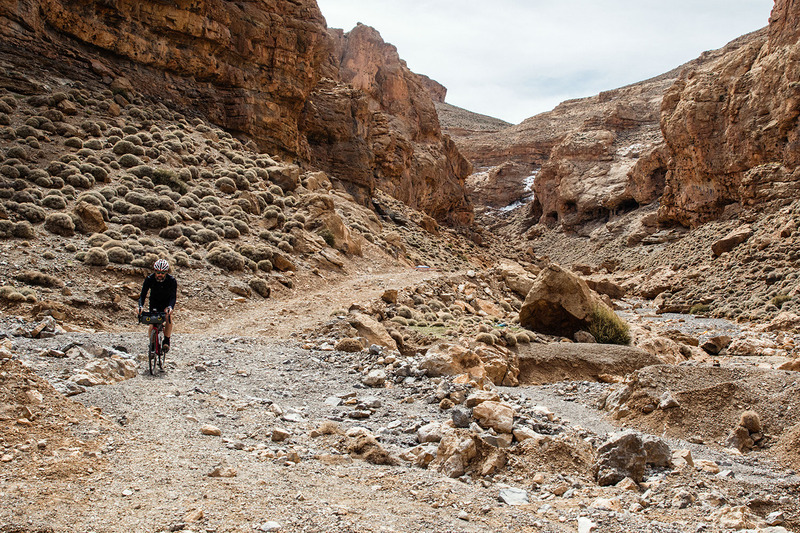 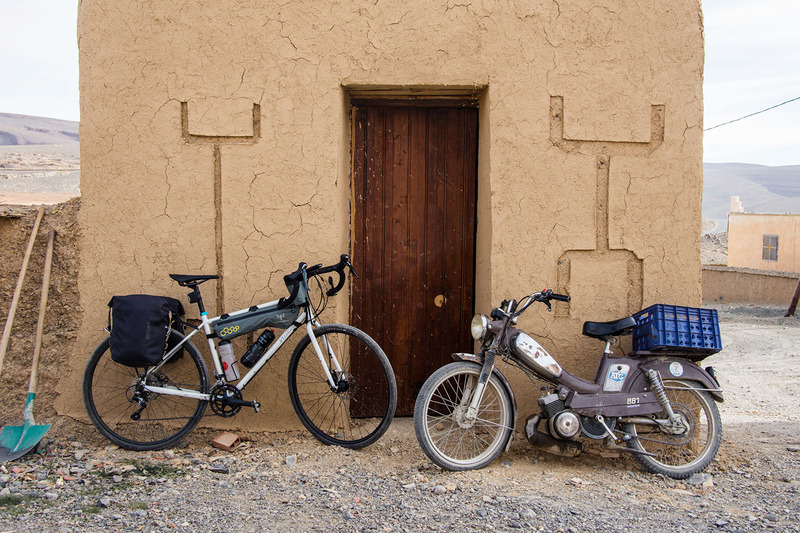 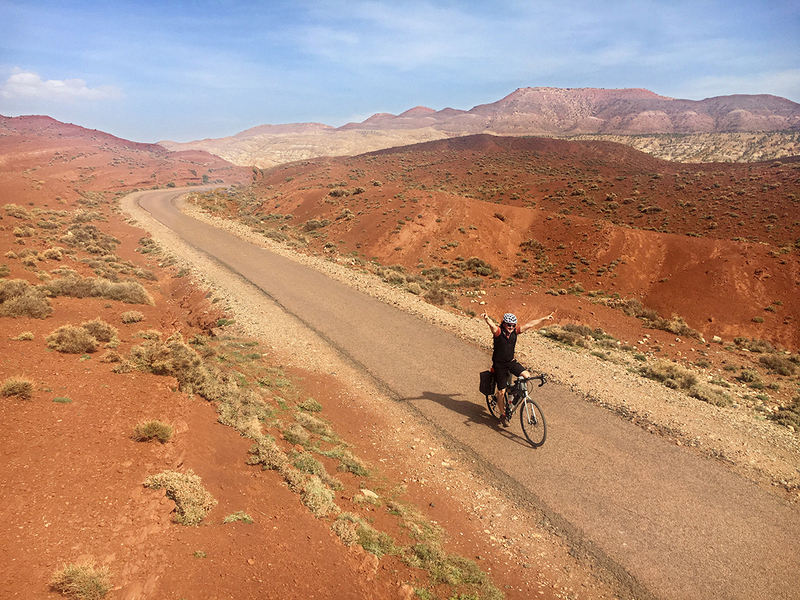 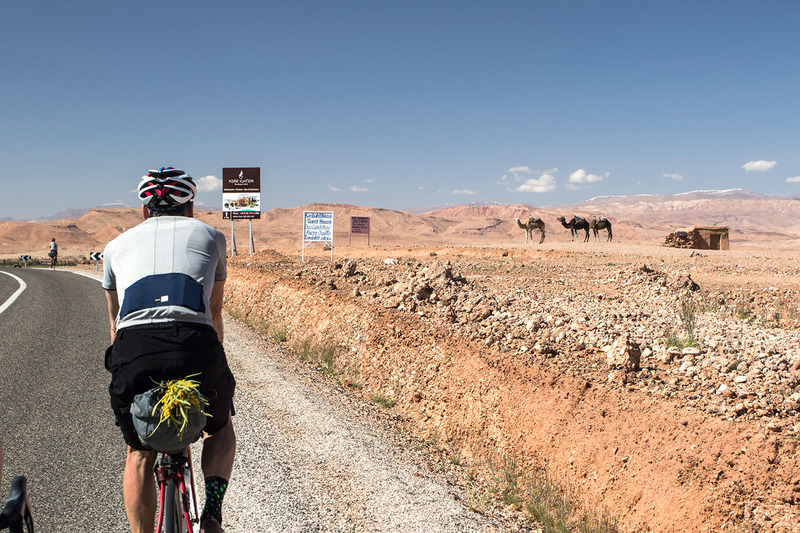 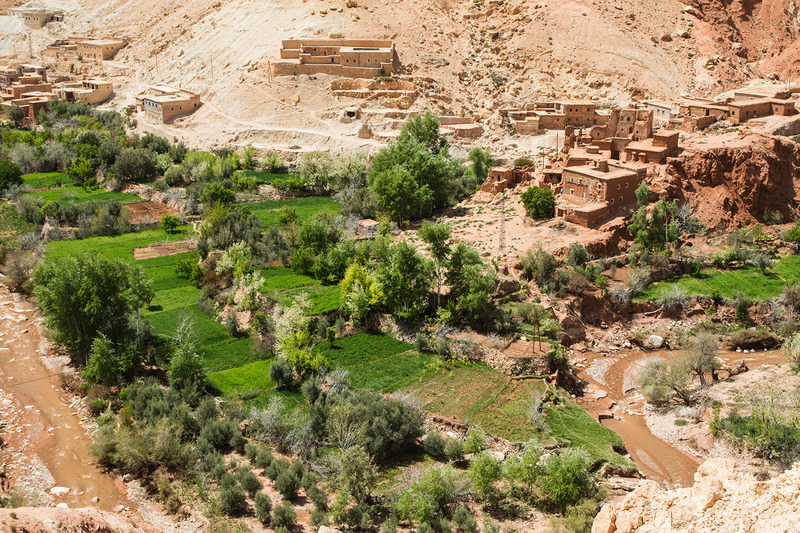 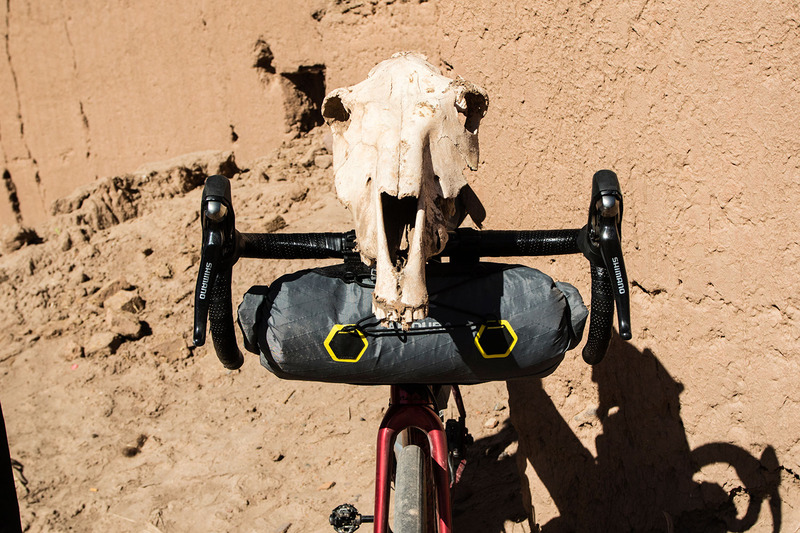 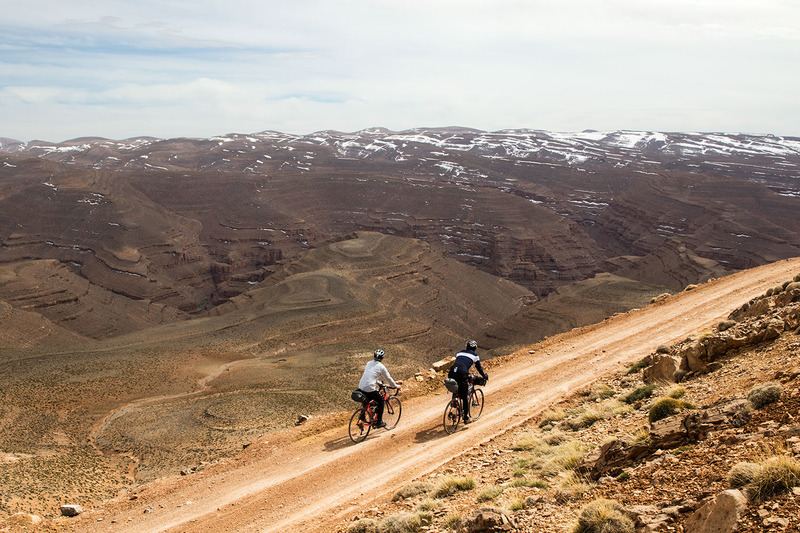 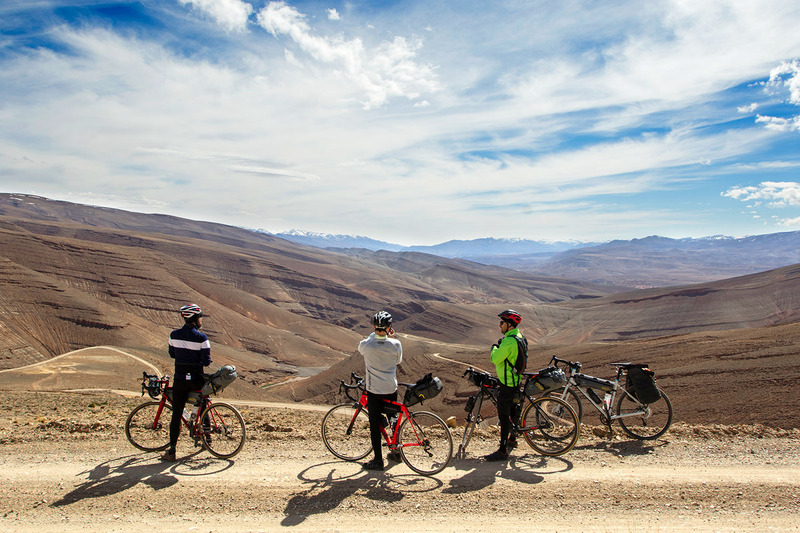 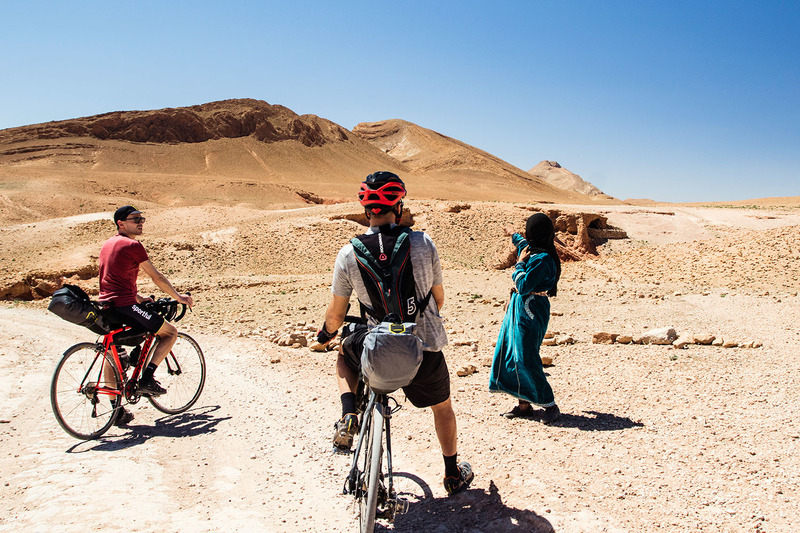 We visited a part of Morocco that lends well for the bicycle touring, while traveling through some of the most picturesque areas of the Middle Atlas Mountains. 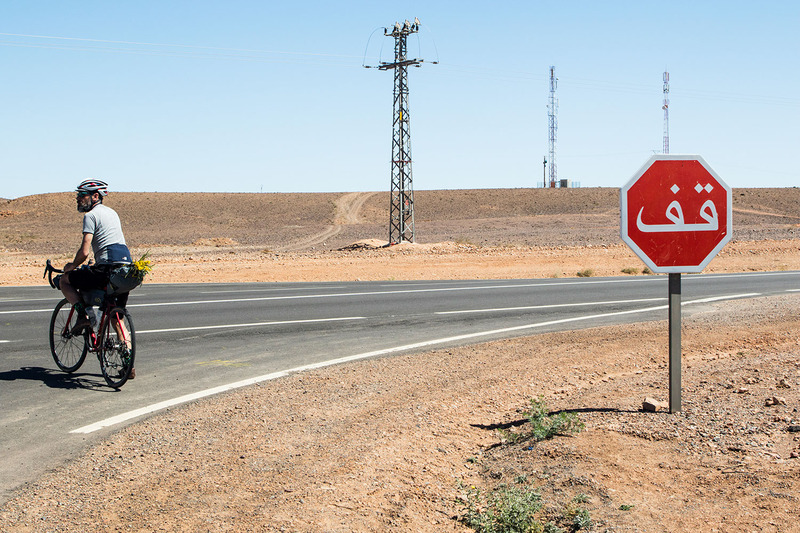 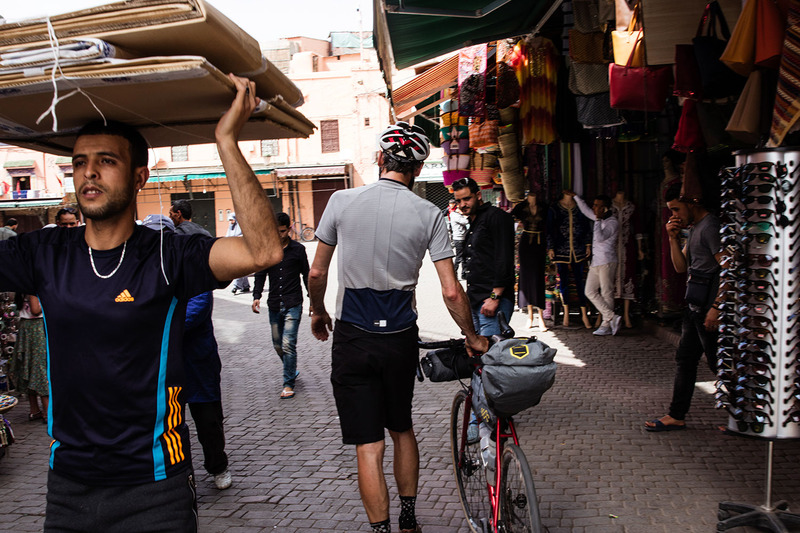 It’s not difficult to find where to sleep and eat, except for when in desert areas, and the prices are reasonable, while the Moroccan people are welcoming and kind to us bike tourists. 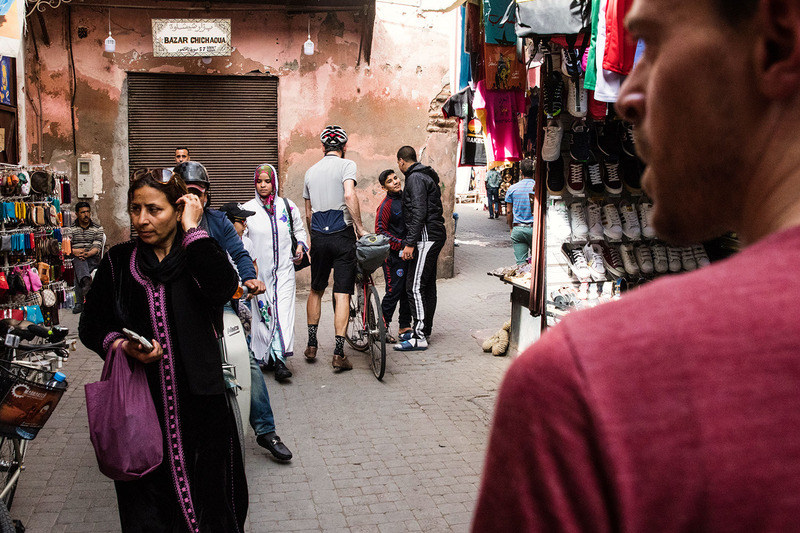 We uncovered various fascinating places along our way. 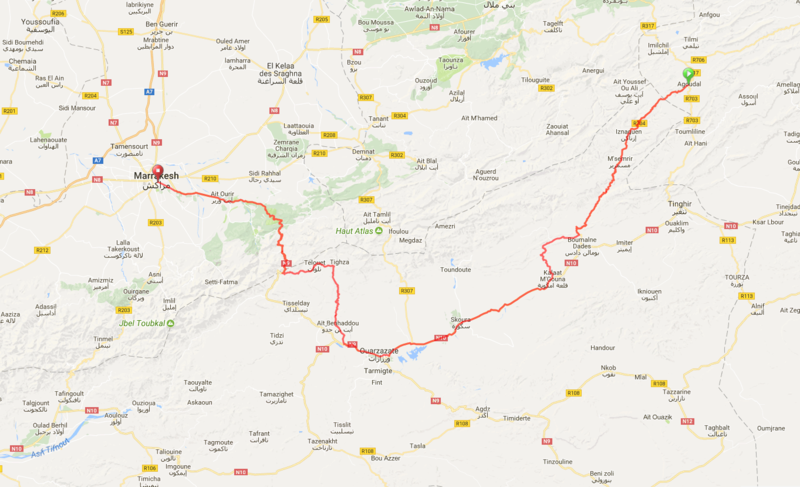 From the off, the departure from Agoudal and the road that goes until the Gorges of Dades was terrific (R704), full of canyons and stunning landscapes. 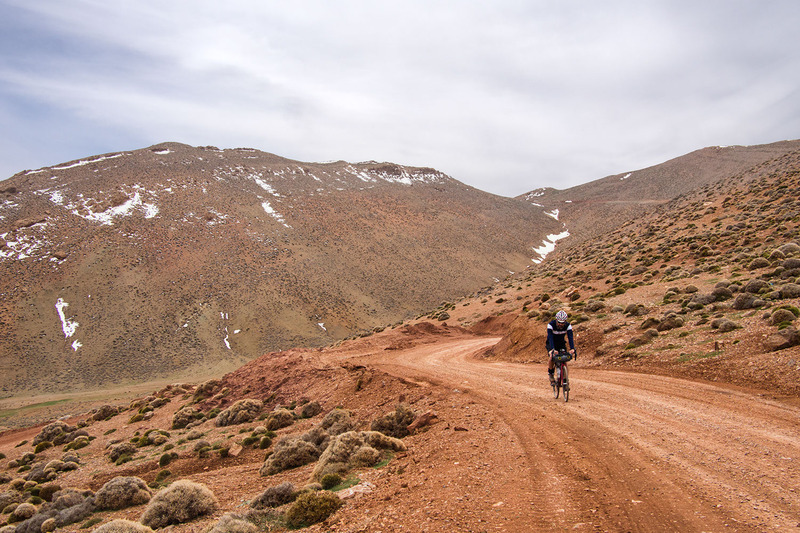 The road is dirt, but feasible especially on the uphill sections. 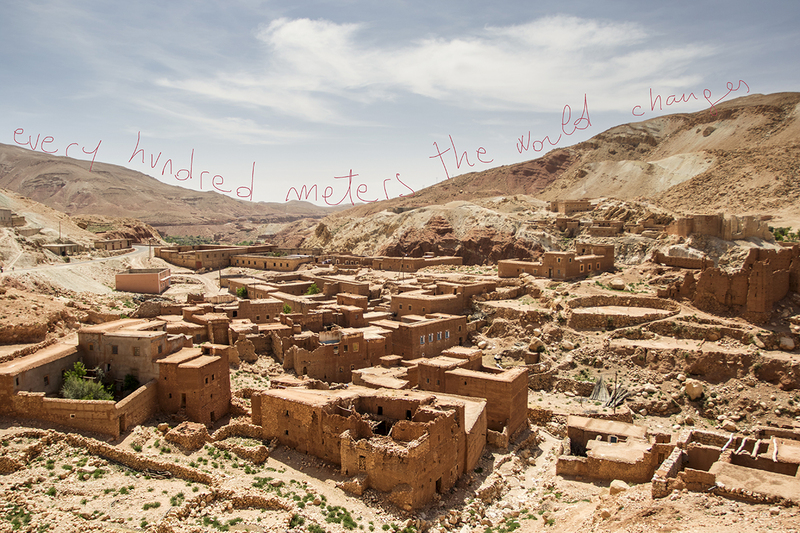 When it goes down it is equally beautiful, but definitely more tiring because of the vibrations.